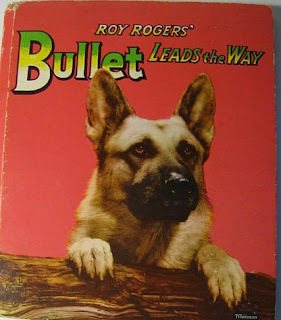 Today I would love to introduce Bullet, the Wonder Dog from The Roy Rogers Show. This western theme TV show ran from 1951 - 1957. My Momma has never seen this show, so we are learning about it, and Bullet, together. When we asked friends about favorite TV dogs, Bullet is a name that was mentioned often. The Roy Rogers Show starred Roy Rogers, his wife Dale Evans, a Palomino horse named Trigger, and Bullet. The famous theme song from the show was "Happy Trails," sung by Dale Evans. Bullet was a brave German Shepherd who helped lead Roy and Dale to the bad guys, helped when they were outnumbered, and helped them escape as needed. Bullet was born in 1949. 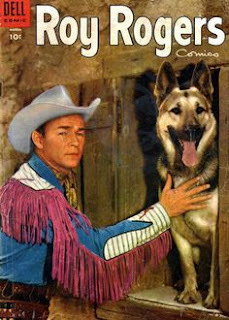 He made his movie debut in 1951 in the Roy Rogers movie Spoilers of the Plains. I have not been able to find out a lot about his life, or how long he lived. 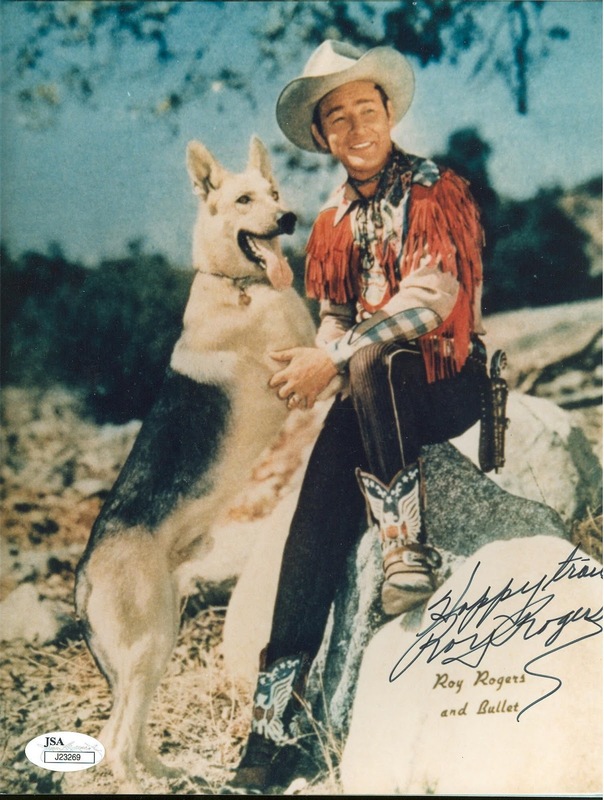 However, after he died he was preserved, along with Trigger, and they were displayed at the Roy Rogers Museum. They were sold in 2010 to RFD-TV. 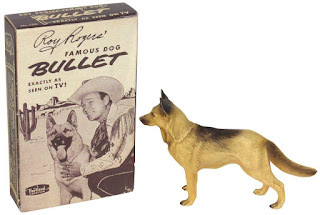 Bullet even appeared in commercials for dog food! Do you remember Bullet, or The Roy Rogers Show? 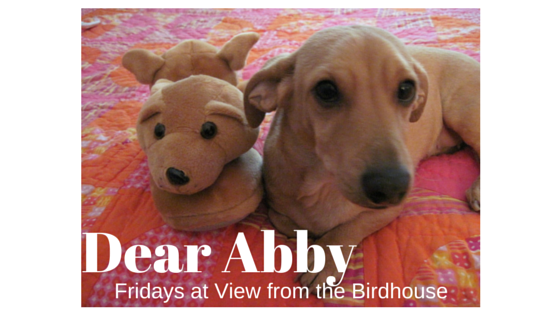 I would love to hear from you in the comments below.